Mother/daughter duo Darla and Ashley are making some cool things in class! 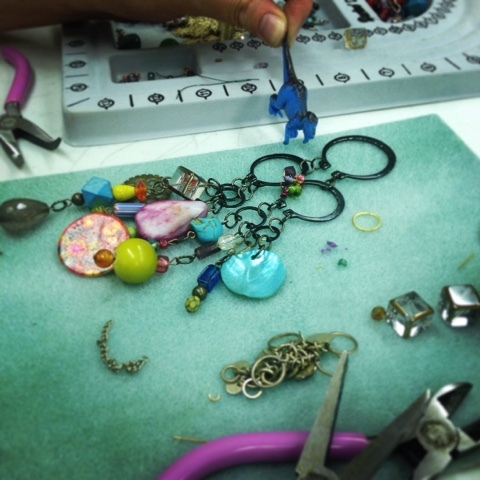 Ashley is using metal retaining clips to create a gypsy dream catcher style tassel necklace. We love the combination of colors and textures! Darla's broken earring was inspiration for her piece. 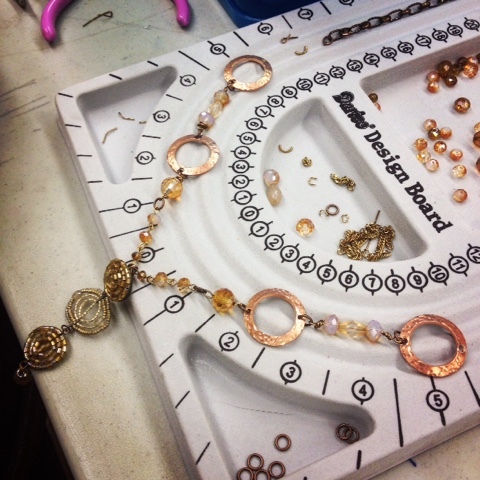 She's giving it new life by creating a new necklace incorporating hammered copper washers. We can't wait to see what our students will come up with next week at Baker-Hunt!